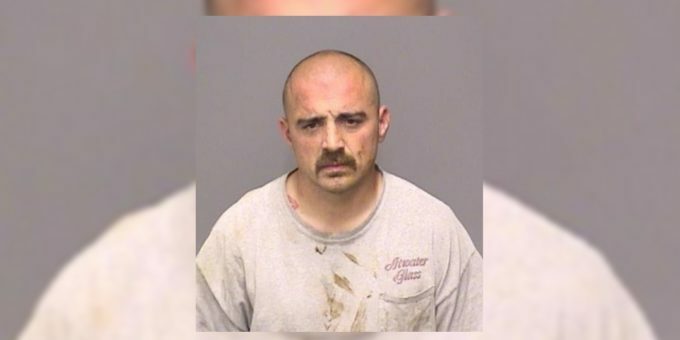 On April 10, 2019, the Merced Police Department’s Gang Violence Suppression Unit (GVSU) Officers developed information that convicted felon 37-year-old Chad Hosburgh had a gun at his residence in Atwater. Hosburgh is a convicted felon and cannot possess any firearms. GVSU and DART officers conducted a probation search of Hosburgh’s home on Green Sands Drive in Atwater. During the search, officers located a bolt-action rifle, ammunition and a bullet proof vest. GVSU officers located Hosburgh on Shaffer Road where he ditched his vehicle and ran. A foot chase ensued and officers captured Hosburgh hiding in a horse ranch stall nearby. Hosburgh was arrested and booked at the Merced County Jail for felon in possession of a firearm, ammunition and resisting arrest.